2019-01-23 - Happy birthday to Your Host! Hey Beer and Brats regulars! 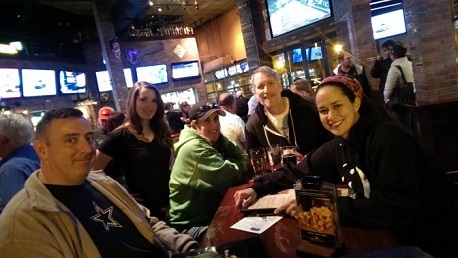 We had a great night at trivia this week. We celebrated my 42nd birthday, we had some great beers from Hopfusion Brewery, and we had a surprising result for game #2! Mouseaholics won Game 1, beating out This Is Our PLC (which, great team name, I feel you, teacher fam) and Punching Ms. Daisy. Game 2 featured a surprising win from The Killer B's, surging past the three top teams from game one with their strong knowledge of movies, television, and sports! Congrats, Killer B's.